A few weeks ago I wanted to thank the top three [email protected] comment posters at the time (Adam Williamson, Ethan Anderson and Vadim Peretokin) for their contributions to the site. I offered to buy them a DVD or CD. Well, I figured it would be interesting to show what they picked, although I am not going to say who picked what. Devotchka is Russian word Ð”ÐµÐ²Ð¾Ñ‡ÐºÐ° written using Latin alphabet. It means a girl. 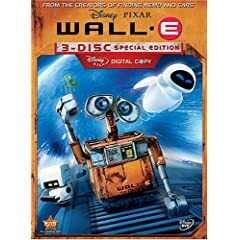 WALL-E is enchanting… Yeah mate, that’s coming from me, it is actually enchanting… Now don’t make fun of me for thinking that. I’m still a tough geordie at the end of the day. Jono, seems to me you want to encourage comments on your blog. This is worth nothing if commenters can’t choose to get updates on the comment thread via email. In fact, even if you reply to this comment, I will never know :-). Imho the Rss feed is not effective. Get the ‘Subscribe to comments’ plugin for WordPress. 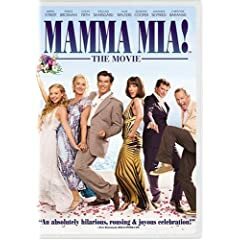 how come i don’t get a dvd? i have posted at least once (including this post) and there have definatly been a few times i thought about posting but was lazy. they count too! all in all i think i deserve 20 dvds. sincearly, me. “Vegetarian Grindcore” Gave me images of Quorn mosh pit… and in turn made me spit lemonade over myself. good times. 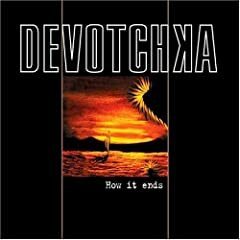 Devotchka was used as the background music for a â€œGears of War 2â€ commercial, a Microsoft game on Xbox 360.
how come i donâ€™t get a dvd? i have posted at least once (including this post) and there have definatly been a few times i thought about posting but was lazy. they count too! all in all i think i deserve 20 dvds. sincearly, me. Devotchka is Russian word Ð”ÐµÐ²Ð¾Ñ‡ÐºÐ° written using Latin alphabet. > It means a girl. Something you’d know if you watched Clockwork Orange, and if you haven’t, well that says something about you. I’m with tacone. The option of subscribing to the posts is very much needed. My Opera session has enugh tabs open already.